Reporters and other employees at a major daily newspaper in Washington D.C. experienced spotty coverage and dropped calls inside an eight-story building of 350,000 ft2. To resolve the problem, Atlantic Technology Group proposed Cel-Fi QUATRA, an active DAS hybrid designed to bridge the price-performance gap for in-building wireless coverage in the middleprise. Unlike analog boosters and passive DAS technology, QUATRA delivers a cellular signal that is up to 1000x stronger, utilizing CAT 5e cabling and Power over Ethernet, with no signal attenuation right to the perimeter of a building. “It’s a revolutionary technology that’s definitely shaking up the in-building cellular amplification game,” says Keegan Harrington, project lead at Atlantic Technology Group. Before implementing Cel-Fi QUATRA throughout all eight floors, Atlantic Technology Group met with the client and agreed to set up one floor as a proof of concept using one QUATRA Network Unit (NU), which is the head end of the system, and three remote internal antennas, known as Coverage Units (CU). Based on the initial results, the newspaper agreed to expand the installation to all eight floors. Since the building is leased, Atlantic Technology Group also reviewed the site survey with the building owner and got their approval for antenna placement on top of the building. “The nice thing about the Nextivity solution is that the antennas are very non-obtrusive. They’re relatively small in size, not these big satellite antennas. Building owners are typically pleased with the size,” says Harrington. Hard ceilings in the building were another issue encountered by Atlantic Technology Group. This was resolved by putting the Cel-Fi QUATRA CUs in strategic locations, such as lights and access panels. Harrington explains that because QUATRA utilizes Power over Ethernet (PoE) and RF over Ethernet, there was a lot of flexibility on where the coverage units could be placed. 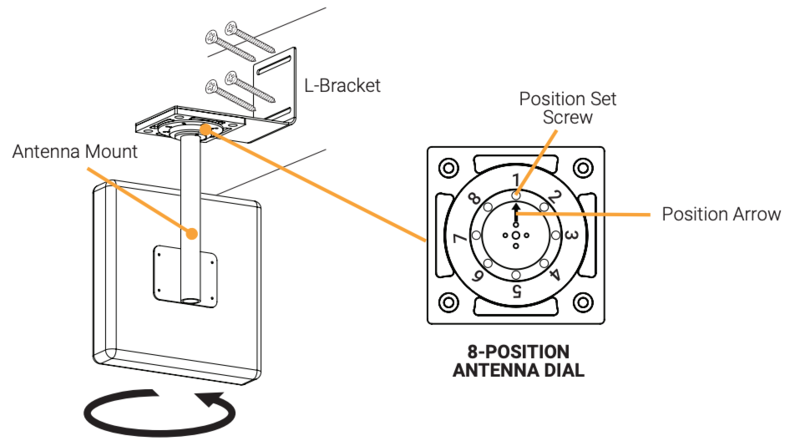 The 8-position dial base enables the antenna to be rotated in 45-degree increments, with real time performance data. 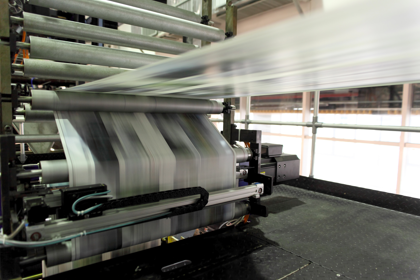 Atlantic Technology Group was also able to use the newspaper’s existing Cat 5 E and Cat 6 runs. “This saved the client money and saved us time. I like working with ethernet cable more than coax – it costs a lot less. It is also thinner, so it doesn’t snag as much if I have to go through holes. It’s also easier to run. The installation would have taken at least an extra week to run the cable if we didn’t use the existing cable. Almost one year after installation, Harrington reports that the client hasn’t called with issues relating to cellular coverage. “I’ve found if you get the positioning and everything in the system right with Cel-Fi QUATRA, there are no problems thereafter unless an outdoor tower goes down, or multiple towers go down. Then all you have to adjust is the antenna,” concludes Harrington.